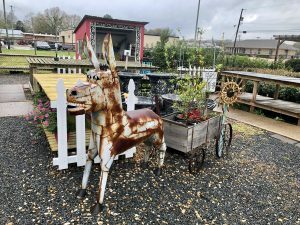 A favorite event which began only last year, The Benton Chicken Swap, had its first event of the year on March 9 and will be held the second Saturday of every month throughout the summer. As the name implies, you will find chickens for sale or trade at the event, but also a wealth of other farm animals, crafts, goods, food and even such things as chicken-diaper patterns for your beloved house chicken! Denise Duke, a resident of Benton, organizes the Chicken Swap as well as Benton Trade Days, where people can rent a slot to sell their unique treasures for $10. Trade Days usually take place the Saturday following the Chicken Swap, the third Saturday each month. 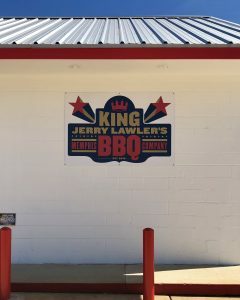 With over a dozen restaurants boasting BBQ here in Bossier, why venture up Benton Road to try King Jerry Lawler’s? This restaurant is the very first franchisee of its hit Tennessee establishment and offers a whole new taste for the residents in Bossier. The King, Jerry Lawler, is a Hall-of-Fame WWE wrestler for whom the restaurant is named. The entire theme of the restaurant is built around wrestling: The sandwiches are called slamwiches, the chairs are metal and spray-painted, and many other authentic touches have been added to create an old-school wrestling atmosphere. The menu includes fresh fried pork rinds, pulled-pork nachos, sweet potato waffle fries with maple syrup and The Outlaw BBQ Bologna Slamwich. The Frilly Magnolia Boutique on Burt Boulevard offers a colorful selection of clothing, handbags, jewelry, bathing suits and much more! Emily Cook is an employee at the boutique. Cook adds that a lot of people comment about the boutique’s affordable prices. 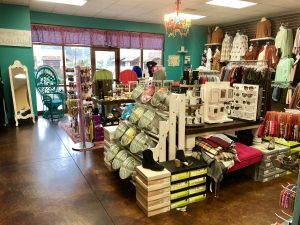 And while the boutique began with a dominant western theme, it quickly branched out in other directions setting it apart from many other similar stores in Bossier. There is also an array of sizes, from petite to plus, so this little shop is truly worth making a stop to see! Steve and Debbie Jayroe have owned their business on 5th Street since 1984. You’ll find Steve inside ready to help with all of your hardware needs. Jayroe’s Hardware and Garden might be small, but Steve’s knowledge is vast. Outside the store is a beautiful nursery with a wide selection of plants, flowers, seeds and soils. Debbie is very picky about the plants that they sell, and she says that it is the personal touch that sets them apart from the big stores. The Jayroes also visit area growers in person to select their inventory and have developed strong relationships with their suppliers. There is nothing quite like the aged or the preserved to make for a beautiful backdrop to a portrait or selfie. Some of the trees in Benton are over 200 years old and have long, weeping branches that are more than picturesque. Historical buildings sit awaiting visitors, such as the 1-room schoolhouse, log cabins, prayer gardens, and the restored Hughes House. Old churches are also a favorite place to pose. 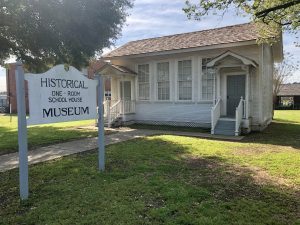 The small town of Benton is thriving and has so much to do and see all within a 1-mile radius. Take a day to have some great food, do some shopping, bring the kids to an event and enjoy the local culture. You won’t be disappointed!